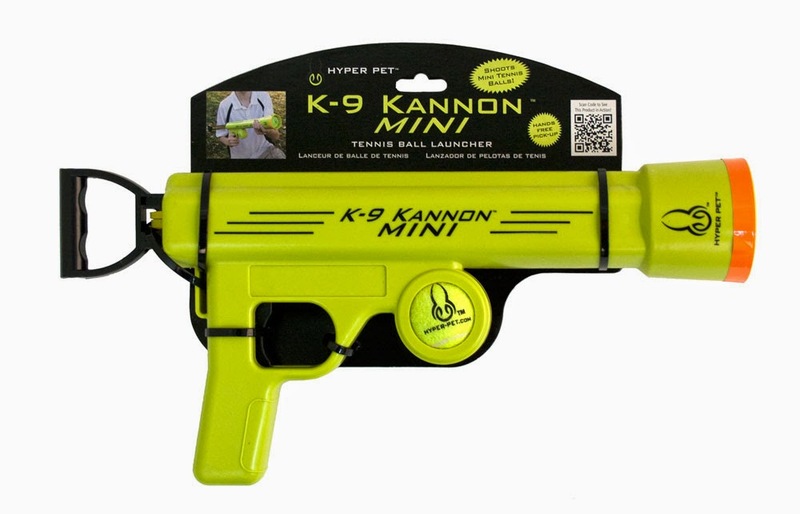 The folks at Hyper Pet make the K-9 Kannon, a device for launching tennis balls for your dog's entertainment. The original was highlighted back in September 2013 on Nerfhaven by Duke Wintermaul, with the only modifications involved being elastic replacement and re-positioning, and adding another notch on the rod. 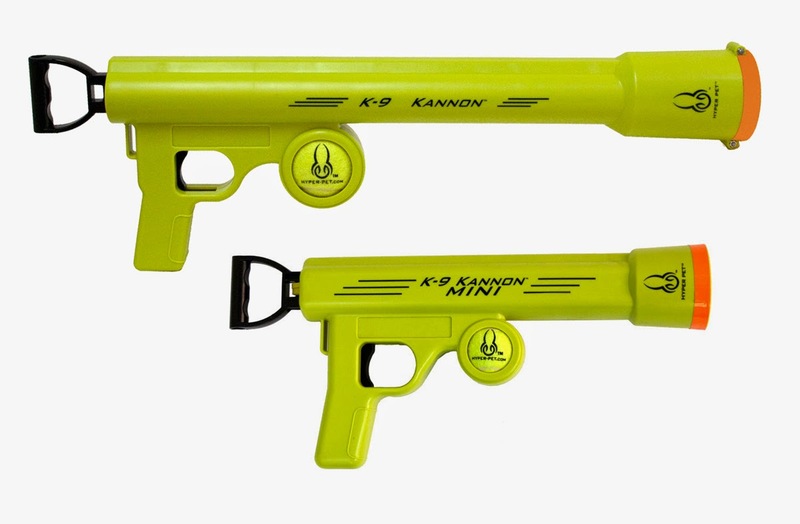 Now, it seems the K-9 Kannon Mini is now being sold. I bought one for science! I bought the Mini for ~$11 at Menards. Unlike the original, it doesn't list range claims of 75 feet. It also turns out that it fires miniature tennis balls. This is good news for us, as it means that with only a little tape added to thicken the ridges holding the ball in place, you can hold most standard-sized Nerf foam balls. 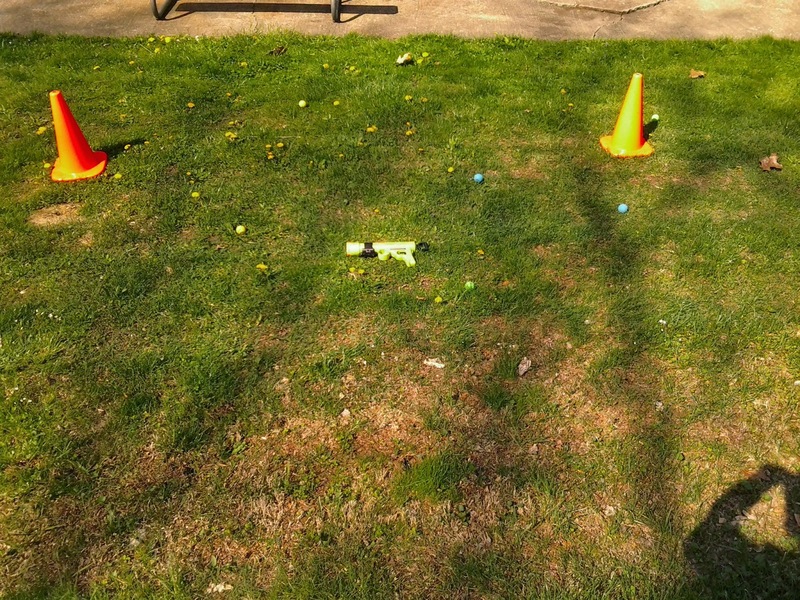 Yellow balls, green balls, and the newer Koosh balls can all be used. 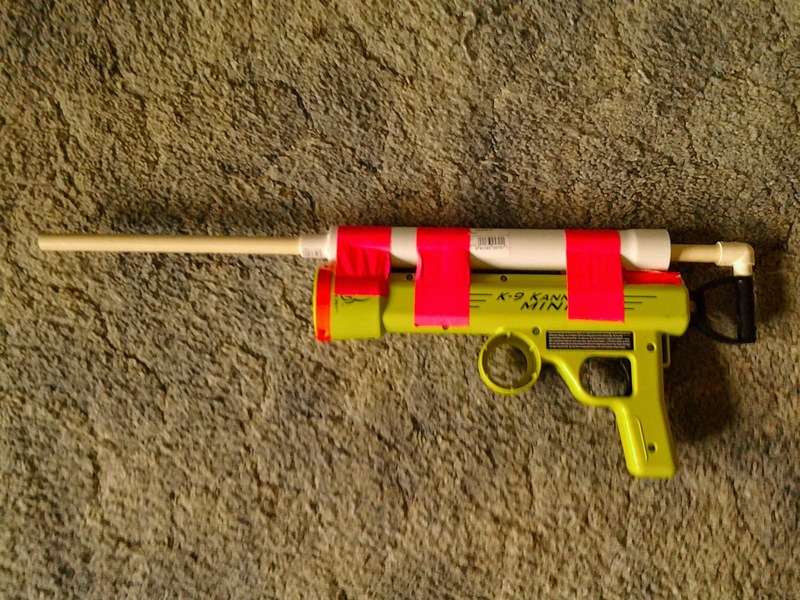 Finally, I went ahead and modded my blaster for darts. How? I took inspiration from the Double Rainbow, of course! The trigger, power source, and plunger rod were already here, so it was easy enough to slap another plunger and plunger tube on top of the Kannon! The steps were simple: the hole in the handle was drilled out to 1/2" diameter, and 1/2" OD PEX tubing was friction-fitted inside. A 1/2" CPVC street elbow was fitted over top of the PEX, and then it was connected to a 1/2" CPVC plunger rod. The rest is self-explanatory; use parts on hand for the plunger head and tube. 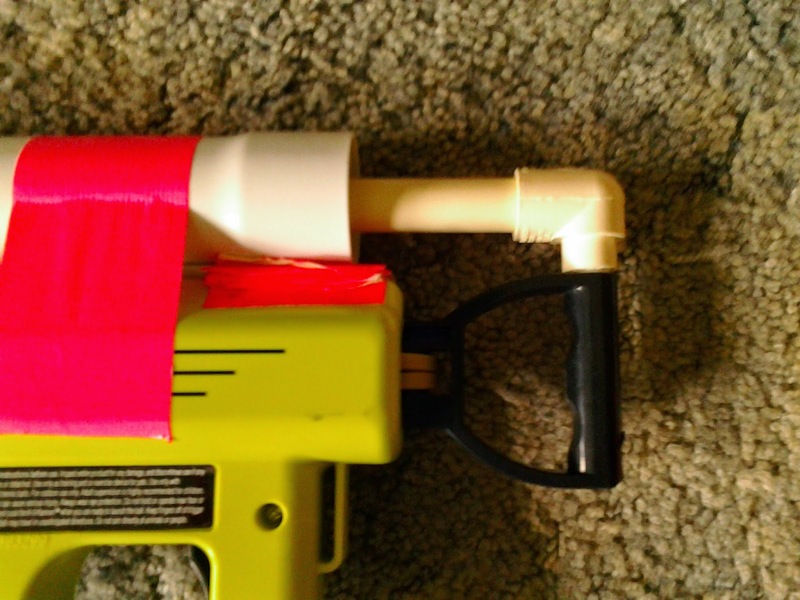 In my case, I used a skirt seal from McMaster and a 1 1/2" tubular PVC pipe (the stuff used under your sink). With a draw of 6 3/4" and lots of tension on the elastic band, there is more than enough power to send darts beyond the century mark. It's not pump-action or anything, but it can be a great primary nonetheless. And you can still fire balls, if you like! This is amazing to see the toys. It is very flexible to use also. You can Check more here to get more ideas and the most amazing things is you can hold most standard-sized Nerf foam balls.